The ever-evolving Israeli-Palestinian conflict was center stage at the West Hollywood City Council meeting on Monday night during a debate over a measure that would have effectively halted the screening of a documentary about the Israeli occupation of Palestine. Fifty-three people signed up to speak before the Council about the “1948” screening and nearly 300 sent email messages or letters to the Council expressing their opinion about the film. All but ten of those messages opposed the screening. Most of the messages opposing the screening were worded the same and emailed from people across the country, indicating an organized campaign to sway the City Council. The standardized messages claimed that Jewish Voice for Peace, a leftist organization that has supported the film and seeks an end to the Israeli occupation of the West Bank and the Gaza Strip, “overtly calls for Israel’s destruction.” That claim has not been documented. Those opposing the screening included John Erickson, a member of the city’s Planning Commission and head of the National Organization for Women’s Los Angeles chapter. “Why are we programming a film that would offend the Jewish community?” he asked. He likened the screening to the city showing anti-abortion or anti-LGBT films. Other Jewish speakers framed their opposition to the film around LGBT issues, with several noting that Israel is the only nation in the Middle East that supports LGBT rights. (However, while Israel is regarded as the most progressive nation when it comes to LGBT rights, homosexuality also is legal in Jordan, Bahrain, and Iraq.) Daniel Blatt, a West Hollywood resident, said the film misrepresents history and questioned whether the city would screen a film that misrepresented the Stonewall Rebellion or issues around gay conversion therapy. 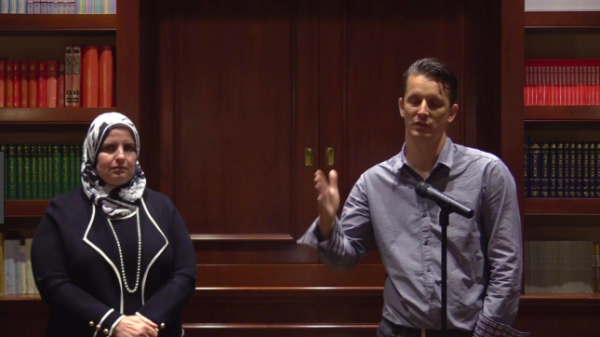 Among those speaking in support of the documentary was its co-producer, Ahlam Muhtaseb, a professor of media studies at California State University, San Bernardino, who has done fieldwork in Palestinian refugee camps in the Lebanon, Syria, and Palestine. She and the film’s other producer, Andy Trimlett, were to have participated in a panel discussion after the Dec. 12 screening. Muhtaseb told the Council she has worked on the documentary for over 10 years, interviewing a wide variety of people involved in the creation of Israel and its settlements in Palestine, including Israeli soldiers. Muhtaseb said she was opposed to anti-Semitism and described the effort to ban screening of the film as anti-Semitism. Hussain Turk, a gay Muslim lawyer who lives in West Hollywood, said that by blocking the screening of “1948” the City Council would be supporting stereotypes of Muslim as anti-Semites because they criticize Israel’s occupation of Palestine. “It isn’t just intellectually lazy or stupid to equivocate hatred of Jews with hatred of the injuries committed by the Jewish government, it is also morally wrong,” he said. While Councilmember Meister had raised concerns about the film in December, she spoke out in favor of the screening at Monday night’s meeting, saying she had watched it over the weekend. “I found that there was no hate speech,” Meister said. “There was no anti-Semitic commentary. Did the documentary have a specific point of view? Yes. But many documentaries do. Did I feel threatened by this film? Absolutely not. Councilmembers John Duran and John Heilman also supported the screening, although Heilman said he was concerned that participants in a panel discussion following the screening didn’t represent all points of view. Horvath, who said she hadn’t seen the film, said her concern was the process that allowed it to be chosen for the Human Rights Speakers Series. That choice was made by Impact Media, a firm with which the city contracts to choose films for its series. Horvath said the film had not been screened by other government organizations but instead had been hosted by academic institutions. “For me, it is unclear why the city would spend resources to show it,” she said. Mayor John D’Amico, who joined Horvath in the failed vote to support the measure that would have halted the screening, said he was disappointed that city staffers hadn’t gotten additional input from the community before rescheduling the film. In the debate over screening the film “1948,” Councilmember Meister did indeed rise to the Mountain Top with her magisterial, spiritual, elegiacal, smart, elegant revelation of her own Israeli bat mitzvah and having seen the film, giving her advice that it is not anti-semitic, advocating the public see it and make up our own minds, against demands of the censorious crowd assembled in Chambers. At Berlin’s Bebelplatz (named for 19th-20th-century socialist August Bebel) there is what the Germans call a Gedenkstätte (little memory site) commemorating on that location across from Humboldt University at Unter den Linden the library in 1933 was ransacked and “forbidden” books infamously tossed into a bonfire. Where men burn books, they will eventually burn people. It’s good to see that West Hollywood is at least willing to have “some” objective representation of the struggle of the indigenous Palestinian people as opposed to the completely baseless islamophobic racist narrative that dominates the vast majority of the mainstream media! I bought the film from Amazon Plus yesterday, watched it and thought it was a very fair look at a very tragic situation. It’s on Amazon plus and is only $4 to rent. Lindsey Horvath’s was so outspoken in her objection to its showing the film should have taken advantage of watching it before the council meeting. I also checked out Newspapers.com, and there were 100s of articles in 1948 regarding the Isreali-Palestinian situation in US and British newspapers at that time supporting the content of the film. While doing graduate work at the American University in Beirut in 1968, I was going back and forth between Lebanon and Isreal via Cyprus as an Episcopalian/Anglican student representative were many Palestinian Christians victims of the 1948/49 War. If it hadn’t been for a Jewish Candianian General’s interference with David Ben-Gourian’s orders, all of the Palestinians (Muslims and Christians) would have been driven out of Bethlehem. I listened to the endless grievances from Palestinian Christians whose civil rights and interference with their lives by the Isreali State including torture was troubling. They couldn’t mail information about this without facing arrests if discovered, so I regularly took these letters and sent them when I had left Isreal. Decades later, the Trump Administration, with powerful ties to Israel, along with Congress, Democrats and Republicans, heavily lobbied by AIPAC, cut funding in 2018 to the St John of Jerusalem Eye Hospital Group (SJEHG) which I support as a Member of the Most Venerable Order of St. John of Jerusalem. SJEHG is the only provider of charitable expert eye care in East Jerusalem, the West Bank, and Gaza, treating patients regardless of race, religion or ability to pay. I have watched the very disturbing expose on the Isreali Lobby in the USA which is frightening especially since it seems to be running Congress and the President. The film also made me wonder if Horvath is working for AIPAC instead of West Hollywood in promoting freedom of speech. Check out the Lobby USA film at https://www.youtube.com/watch?v=Y9dv6_h9Vp0. The Palestinians know how to work the media, Michael. They have staged attacks that never happened and the media do all the work for them, and in doing so, give them credibility. They make false reports. There are large communities of Arabs who live peacefully in Israel. How welcomed would Jewish Israelis be if that were reversed? Lauren Meister was sensational ….!!! Can you tell me why my response to the Rabbi’s comment that I posted last night is missing today but my previous comment shows under the Rabbi’s comment instead? That’s because all comments are individually moderated by me to ensure that they don’t include slanderous or libelous statements and that they focus on the issues rather than other comments. Your comment was just approved. It was not approved immediately when you submitted it at 11:20 pm yesterday because I was asleep at that time. I worked from 8 a.m. Monday to 2:30 a.m. Tuesday covering a variety of things, including the City Council meeting. And sometimes a guy just needs a rest. It was frustrating that the opponents of the screening seemed to think there was only one version of history, only one narrative in regard to the founding of Israel. Council member Lauren Meister made a courageous and powerful statement affirming our City’s commitment to diversity, including diversity of opinion. I think the notion that this screening was tantamount to showing anti-choice or homophobic films is false and intellectually dishonest. As a person who considers himself to be a progressive, I don’t see how we can help find peace in the Middle East if we cannot at least be aware of the perspectives of both sides. Justice is not fostered by ignorance as seen by the actions of the current Trump Administration. I know there were several sincere speakers who seemed genuinely pained by the decision to go ahead with the screening but their voices were drowned by others who clearly thought they could bully the City Council and insist that their interpretation of history was the only correct one. I can’t see how recognizing that the Palestinians have rights to self determination and have their own narrative, makes a person anti-Semitic. If we can’t screen this film in West Hollywood, what does that say about our commitment to progressive values? I am writing as Rabbi of Hollywood Temple Beth El to oppose the sponsoring by the City of West Hollywood of the film “1948: Creation and Catastrop. . .In so doing, I speak on behalf of thousands of residents of West Hollywood who have been members or participants in our programs and activities over the years. Many of these are themselves refugees from the Holocaust, the former Soviet Union, and the Middle East who suffered persecution, and for whom this sponsorship is a stake driven into the heart. While the sufferings of the Palestinian Arabs must be acknowledged, it must be seen in the historic context of consistent terror attacks, massacres, and expulsions of Jews, both inside then Palestine as well as the rest of the Middle East. Furthermore, it is clear that the “Nakba”, Catastrophe, was one of the Palestinian Arabs leadership’s own making. The riots and massacres of Jews in the decades leading up to 1948. The role of the main Palestinian leader, Mufti Haj Amin Al Husseini , as advisor to Hitler on the Jewish Question in the Middle East, and his role in leading the Bosnian SS in massacres in the Balkans. The ethnic cleansing of Jews from all their homes in those areas held by the Jordanian Legion, including all Jews within the Old City of Jerusalem. The almost total expulsion of Jews from the Middle East ( including members of my own family and friends) where they had resided to 2500 years. “I am shocked that the City of West Hollywood is allowing this piece of anti-Israel propaganda to be shown on city property … This in our city with a sizable Jewish population The film ‘1948’ is unbalanced and nothing but propaganda.. Thank you Rabbi. You raise some very good points about this film being shown on city property. It is particularly inappropriate where there is no balance and the other side is not being heard. I don’t believe if a leader of any other minority group spoke out against a film being shown on city property with no balance they would be dismissed so easily. What are you afraid of? The truth. We live in a country of free speech and if you don’t like it then it’s time for you to leave USA. Israel receives 7000.00 an hour from the USA, 38 billion over the next 10 years. Palestinians aren’t armed to defend themselves in the ways Israel is. There are countless war crimes coming from Israel. And we also need to be able to question the contradictions in ALL the world religions: Catholics, Muslims, Jews, etc. That’s the real elephant in the room. The Israeli lobby is essentially silencing ANYONE who dares to question what Israel does with this money and how they fight their “wars.” That’s dangerous! And now passing LAWS to silence people who question Israeli politics. Seriously that’s outrageous and when someone is doing harm they want to cover it up at any cost. Unfortunately, in the United States organized religion is not taxed. For a country that claims separation of church and state we are continually subjected to the opinions of religious leaders. When the film was peviously delayed a local rabbi was using city council members to get her message across. Which was don’t show the film. So the growing number of non-religious must subsidize what I call the religion business. You pay a tax to go to the movies and then you have to subsidize those heading to a church or temple. Since the sky God people don’t pay taxes. Also, I really don’t like some religious leader telling me what I can view. Interfering with my first amendment rights. It’s time all religion in the United States were taxed. And we had true separation of church and state. More charity originates in churches and synagogues than from any other source. Houses of worship exist to give. If they are taxed their charitable giving will clearly be diminished. If the government used the money they received from churches in the form of taxes that money would pass through so many bureaucracies there would be little left over to help the same people who the churches help directly. Many years ago during a time of great need, a church paid my rent and bought me groceries for several months. I will forever be grateful for that and will never forget it. What would be nice is if a pro Israeli documentary was screened before or after this documentary and then there was a thoughtful balanced civil panel discussion. Perhaps we could serve as an example of a place where both sides can safely discuss the issues. In the end however it seems like both sides in the US are becoming as polarized as the parties in the middle east with insults and accusations flying in both directions. Palestinian voices are ALWAYs filtered through a zionist perspective. How about we do something truly new like allow Palestinians their voice unencumbered by Zionism. “Where there is injustice somewhere [Palestine] there is injustice everywhere “. End the occupation! Good to hear that the film will be screened. I still think this is the released by Al Jazeera is the one to watch also, it’s free online and really was eye opening to me. Uhhh….. Just where in the Constitution does it say that the West Hollywood City Council is responsible for foreign policy? Between Palestine and Duran, is the city council conducting any of the people’s business? Many thanks to John Heilman, John Duran, and Lauren Meister. I’m especially grateful to Ms. Meister for doing her due diligence by watching the documentary prior to the meeting. Her informed decision made all the difference despite her concerns last December. Her educated response truly restored my faith in the integrity of the process. The lesson here ignorance is never bliss. This McCarthy likes witch-hunt that is led by Israel’s lobby is another clear attempt to silence Palestinian voices. Using the anti-Semitism card in a deliberate attempt to prevent legitimate criticism of the injustices committed daily by Israel is just getting old. Let it be known our struggle is not about religion, our struggle is against Zionism and racism. There’s nothing more anti-semitic than Zionism! Obviously the well-organiized campaign against the film as the article said, “Most of the messages opposing the screening were worded the same and emailed from people across the country, indicating an organized campaign to sway the City Council. The standardized messages claimed that Jewish Voice for Peace, a leftist organization that has supported the film and seeks an end to the Israeli occupation of the West Bank and the Gaza Strip, ‘overtly calls for Israel’s destruction.” The claim against Jewish Voice for Peace is a garbage lie. 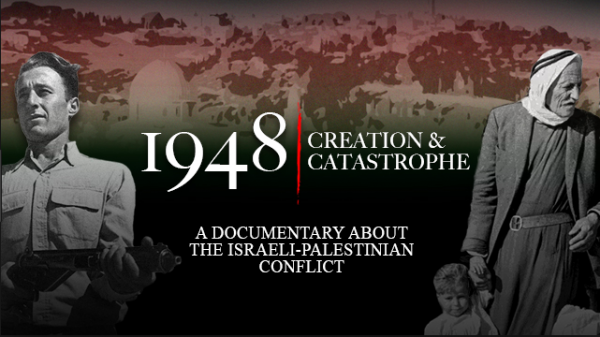 I’ve seen the film ‘”1948” it is excellent, researched for 10 years, has leading historians for both sides, and is fair to both side of the conflict. The brouhaha surrounding this film has simply caused the Barbra Streisand effect. No one should be banning films, books, reading materials or the press. I may hate this film after I see it. That will be my view and my view only. Others will have theirs. Follow Duran’s advice. Don’t approve? Protest. Big and loud, but non violently as that, of course, will dilute your message. Religious leaders can weigh in and give their opinions, but I don’t subscribe to any religion, so I would prefer that their opinion does not interfere with my freedoms. IN ANY ARENA. Bravo to Ms. Meister for her eloquent defense of artistic expression and for leading on why we want arts programs that push us and challenge us and not simply reinforce our beliefs, or create so-called safe zones in which trigger warnings are attached to that which might make us think in the critical way we should be trained to think. I do not believe, however, that the issue as presented in the now-resolved controversy involved a First Amendment violation. It is the absolute right of a filmmaker, or any artist, to create works which might offend some person or group of people, provided it does not include one of nine established categories of speech which have consistently been held as not protected by the First Amendment. The film does not incite imminent lawless action, does not pose a true threat, and does not solicit the commission of a crime. The other six are not applicable to this film. No person or organization is compelled by that First Amendment protection to provide a forum for that expression. Our progressive culture is what creates a community interest in presenting challenging art. Questions on why the city would spend resources on showing this film, or any other film, should be answered at the root–why have arts programs at all? Suggestions that one film or another should require “additional input from the community” are nonsensical and naive. It’s time to abolish safe zones around protected expression and trigger warnings for perfectly capable thinking adults. Bravo to the City Council majority! Despite witch-hunting by the Israel Lobby, anti-Zionism isn’t anti-Semitic — it’s anti-racist. And there’s no First Amendment exception against those — many of them Jewish — who uphold Palestinian human rights against all forms of Israeli ethnic cleansing, occupation, and apartheid. Once again, the real question is whether we citizens should be allowed to view material which requires one to have an open mind, a rare condition these days but the nexus of true criticism. This debate is the same argument seen in our college campuses regarding “free speech” and appearances of some people who are regard as espousing dangerous ideas. (What is college but a place where one is exposed to new and dangerous ideas? What is “education” these days?) Politics is, of course, at the heart of the matter. Beyond that, the plight of the Jewish people over centuries is well known and is condemned by many – but not all. I was deeply exposed to those facts when working for Bonds For Israel in the late 1950s. Also, a boyhood acquaintance, a Methodist minister, was the United Nations observer on the ill-fated ship Exodus 1947, which was met with brutal force by the British overseers of Palestine when in attempted to land Jewish refugees in the newly formed state of Israel. Now, Israel is considered one of the closest allies of the US in that part of the world, it being the sole democratic country among many autocratic realms. That alone does not absolve them from any actions which might be seen as unworthy. Then, consider the Palestinians, who were forced from their lands by the decisions of politicians who barely knew where that country was situated. The olive groves that a Palestinian family had tended for perhaps as long as a thousand years was no longer theirs. Naturally, hatred arowe and dire consequences followed. The area will be in dispute forever, it seems, as neither side is willing to really consider a peaceful end. Hatreds long simmering explode without warning. All that above is a meandering prologue to my statement that we must be able to view even the most contentious material so that we might make an effort to know the minds of others in order to get along in the world. The Catholic church once had a list of forbidden books called The Index. Books forbidden because they might espouse ideas counter to the church. The Index is pretty much abolished and we are richer for that increased knowledge – good or bad. Show the film. Let us make up our own minds. All of the Council members should have viewed the film before talking about its showing or cancellation. It is inconceivable to me that they hadn’t. Once again, Councilmember Meister proves she is always better prepared than her colleagues to discuss topics before the Council. Bravo to John Heilman, John Duran, and Lauren Meister. Their statements in support of showing the film were eloquent, arguing that these were First Amendment issues. In other words, freedom of speech. of “The Boys of St. Vincent” and certainly protest “Jerry Springer the Opera” from being performed at the Coast Playhouse. As for John D’Amico his argument was lame and something to satisfy his supporters so he gets re-elected. Both of these anti-First Amendment politicians are now on the WEHO “enemies list” for being against freedom of speech. Michael G., I call bullsh*t. What does Councilmember Horvath’s religion have to do with anything regarding the screening? You just made this entire discussion a ‘religious test’ for public office – specifically banned by the Constitution. One about the the murder of six million Jews, which led to the foundation of the state of Israel. And a detailed account of the murders of so many Jewish men, women, and CHILDREN at the hands of Palestinian terrorists. I don’t even know where to begin in this discussion. Israel has never been the aggressor; they have only defended themselves. There are those who will settle for nothing less than the complete annihilation of Israel, as has been demonstrated when they were offered pretty much everything they said they wanted …. and turned it down. Hilarious! If it wasn’t such a terrible context. Look up The Stern Gang, The Irgun and Haganash and see who committed massacres. Read the very pro-Zionist, Israeli historian Benny Morris’ account of the events. Don’t do the knee jerk, holocaust card. the holocaust was horrible and should be eternally condemned but the Palestinians should not suffer for its occurring. Think human to human for a change and not “our land and ours alone.” That rope don’t fly no more! I’m not Jewish, Brian. I’m not playing the “knee-jerk Holocaust card”. (I can’t believe you said that!) The suffering of Palestinians has nothing to do with Israel, and I don’t know anyone who connects the Palestinians to the Holocaust. You wrote showing a film about 6 million murdered Jews. Now that’s the Holocaust and you used it as a major counter to the 1948 screening. What other way is there to take it than the Holocaust card? I didn’t presume to know your religion, ethnicity or anything but your incredible statement that Israel has nothing to do with Palestinian suffering is a real mid-f**k for sure! Who do you think has them locked in the open air prison of hell called Gaza? Little pink ponies? No, it’s rabid Zionist Israelis. Who pushed all the Palestinians into refugee camps? Why would they need those camps if they weren’t refugees from …what? You completely skip not only history but the realities of their extreme suffering at the hands of, you guessed it, Israel. Who’s bombing Gaza right now? Who’s shooting peaceful demonstrators dead in Gaza, including medics and journalists? Israel and the soldiers make videos of their kills and laugh when an old man is taken out at 300 yards. I am not making any of this up and the sources are there for any open mind. I’m not saying that the Palestinians had anything to do with the Holocaust. I’m saying that the victims of the Holocaust (Jews) should not inflict the same manner of abuse that is what they are doing to the Palestinians, right now and for the last 70 years. It’s all there in the very highly regarded Zionist, Israeli Benny Morris’ history. And he is completely unapologetic but his writing completely supports what I write.